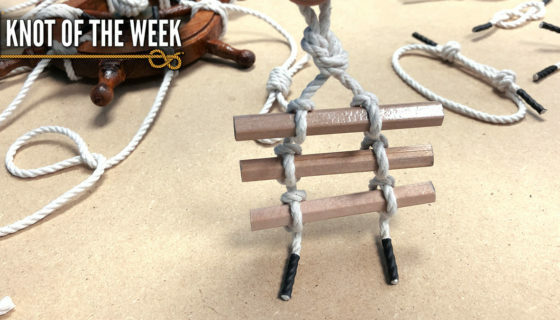 We’ll be taking a different approach to our Knot of the Week Series for the next three weeks, as we bring you a few articles on creating your own Fast Rope for Climbing. 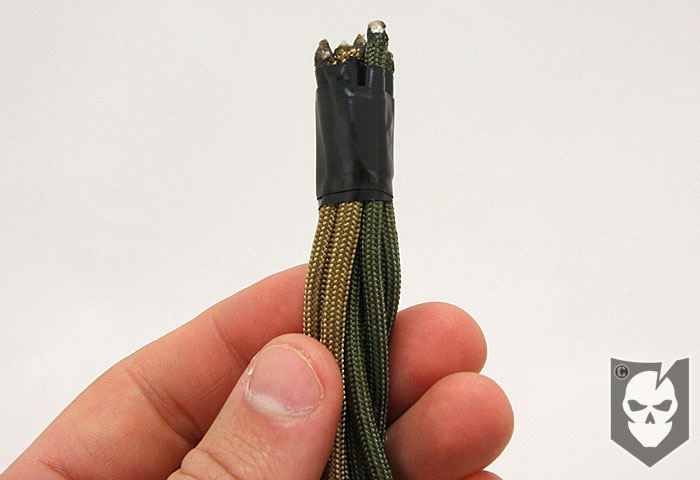 Fast Rope Insertion & Extraction Systems (FRIES) provide safe and efficient methods for inserting and evacuating personnel to and from specific targets. 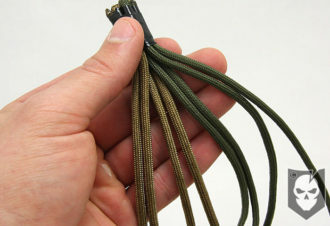 Fast Ropes come a few different ways, which is with an eye splice or a metal ring for hook up to the davits found on some helicopters. 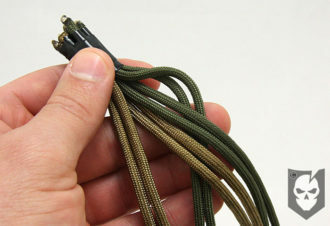 They’re also available with and without the loops for extraction. 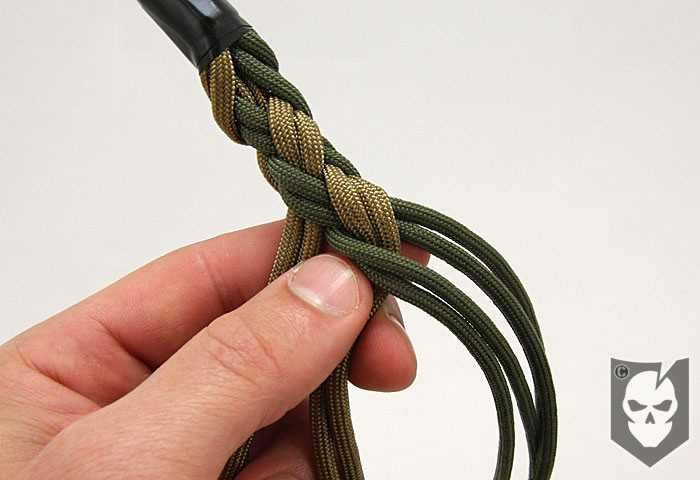 As this KOTW is for creating a climbing rope, we’ll be creating a Fast Rope with an eye splice and without extraction loops. Today we’ll be getting into how you create the 4-Strand Round Braid that’s used to braid a Fast Rope, followed by instructions in the coming two weeks on eye splicing the Fast Rope, and either back splicing or whipping the bottom end. 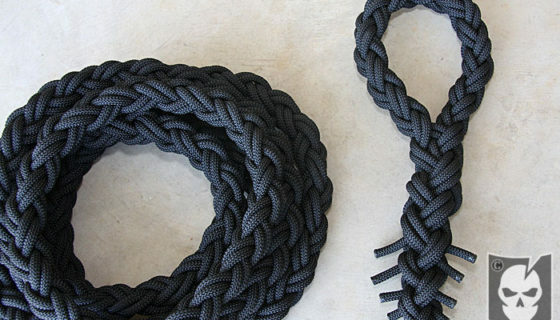 Why a Fast Rope for Climbing? 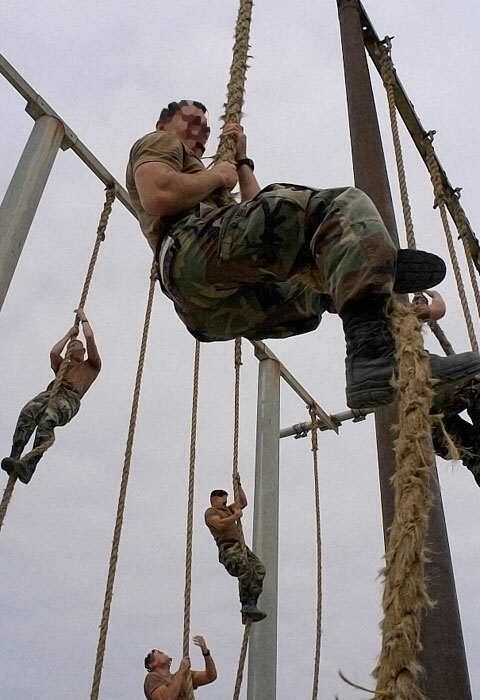 First of all if you’re not climbing a rope, you’re missing out on one of the best forearm and grip workouts around. Climbing a rope is at the core of the Functional Strength discussions we’ve had here on ITS. 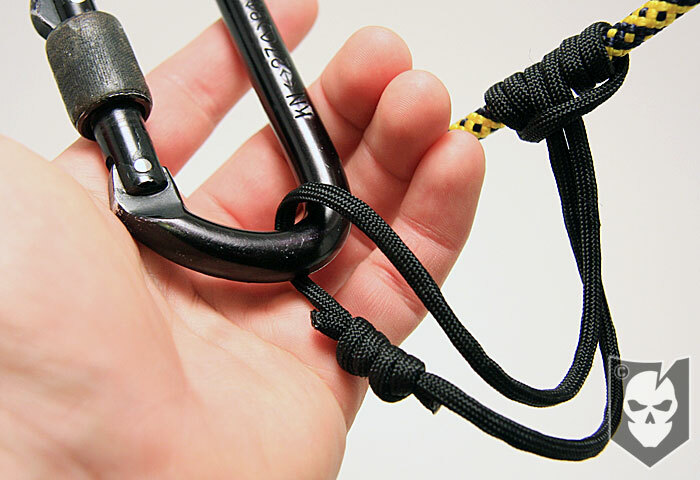 While we’ll save the reasons and methods for climbing a rope for a later article, let’s just say it’s an important thing to train and could save your life. The reason that a Fast Rope is braided with a 4-Strand Round Braid, is to reduce overall kinking and create an outer pattern that’s easier to grip versus a smooth rope. This also aids in controlling the descent on insertion. 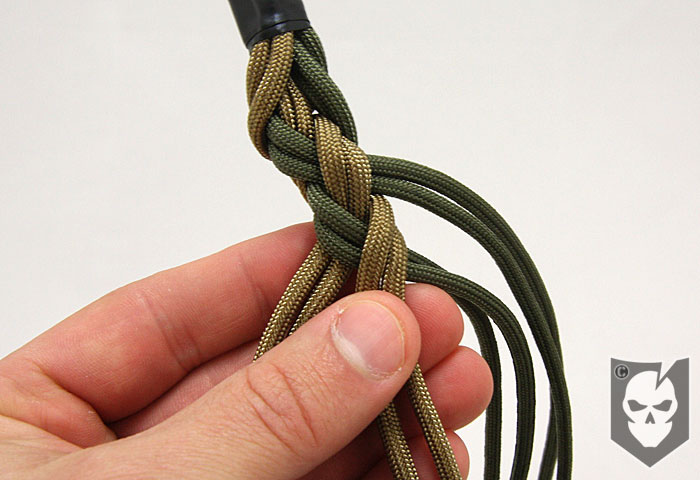 That outer braided pattern also makes a great grip when ascending a Fast Rope. If you haven’t had the pleasure of climbing an old Fast Rope that’s been converted into a climbing rope, it’s so much nicer to climb. 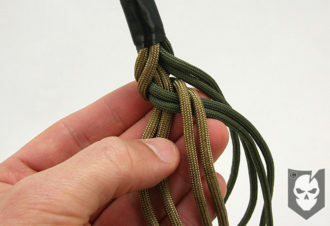 Climbing a Fast Rope is not a military technique, and not commonly practiced. 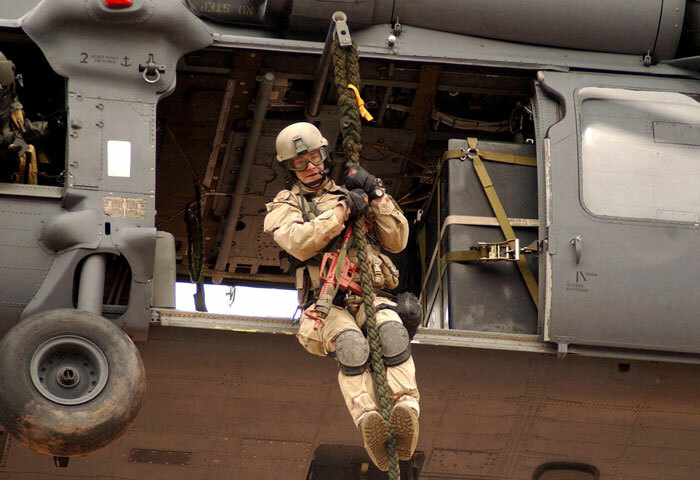 Climbing in the military is typically done with a Caving Ladder, or in PT scenarios with Manilla Ropes. 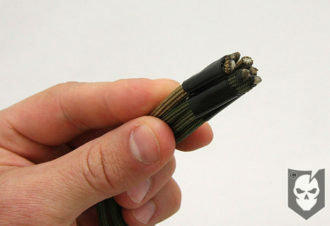 While Manilla Ropes are great to climb, they become frayed, slick and can leave splinters in your hands and other parts of your body if you’re not careful when descending. 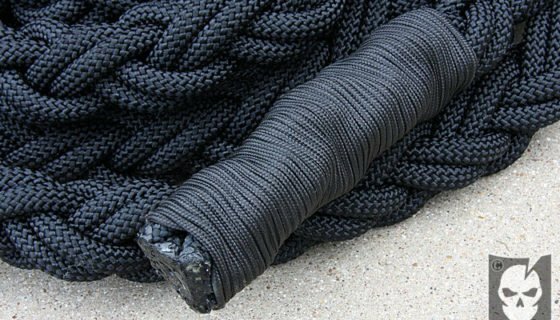 Purchasing a Fast Rope is out of most budgets, as one of these can run anywhere from $750 to $2000, depending on the length. 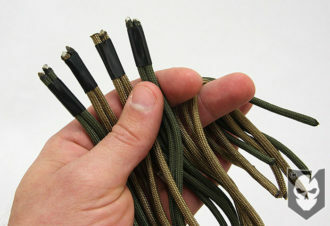 Professional Fast Ropes for the Military are also made with machines, braided very tightly and almost impossible to identically create. What we’ll show today is not a professional Fast Rope, and isn’t a substitute for one. 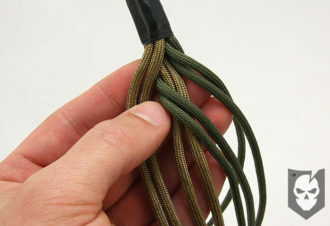 However, it is a great climbing rope and is equally as strong as a professional Fast Rope provided you use the rope and braiding technique we recommend. We highly recommend that when starting this project, you practice the 4-Strand Round Braid with Paracord or other small line to get your technique down. It’s a bit different that a traditional braid and nearly impossible to explain in words, which is why we created the video below. 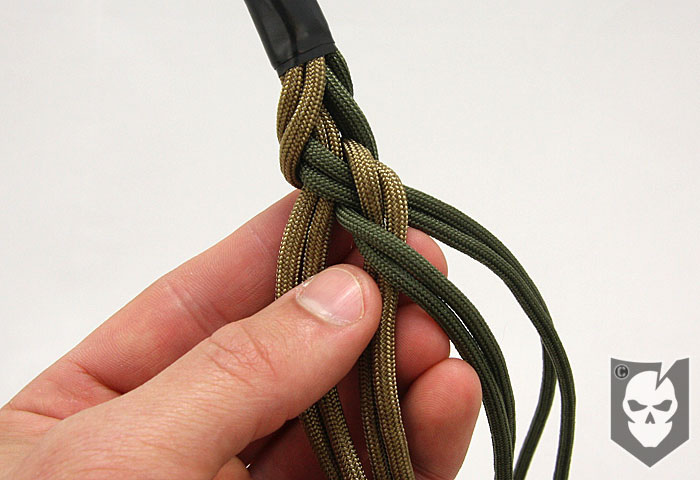 A great mnemonic device for learning the braiding pattern is “back two, over one.” What you’re doing is alternating from the right to left outside pairs while taking the respective working end around the back side of two strands and over the last one it’s brought behind. 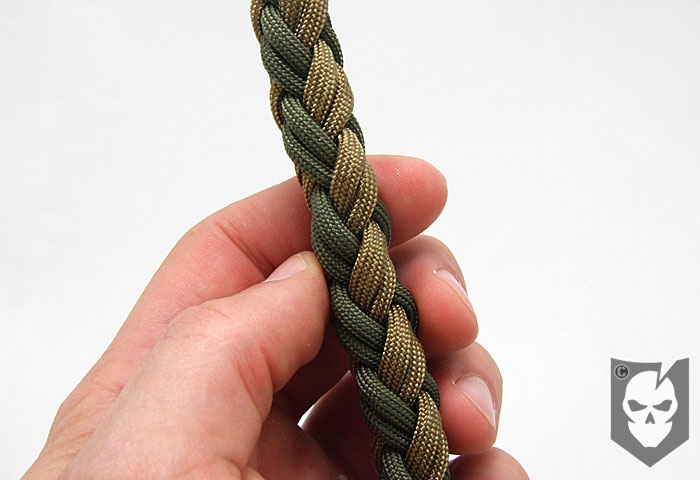 This of course won’t make sense until you watch the video, but reciting this pattern will help you stay focused, because you’re in for a long braiding session. It took two of us around an hour and a half to braid our Fast Rope. We started with 35 ft. strands and wound up with a 25 ft. long Fast Rope that weighs approx. 16 lbs. You can estimate needing around 1.5 feet for every foot in length you want your Fast Rope to be. That’s also not including the length required for the eye splice and whatever method you use for terminating the end (future article). You’re also going to definitely need a buddy to help you braid, as creating this pattern plays havoc with the standing ends of the rope. 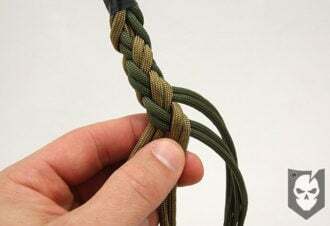 They’ll develop twists that your buddy will have to fix, because you’ll be braiding and won’t be able to let go of the rope. You could do this by yourself by taping the braiding every foot or so to go back and untwist the lines, but you’re in for a long day if not many days. 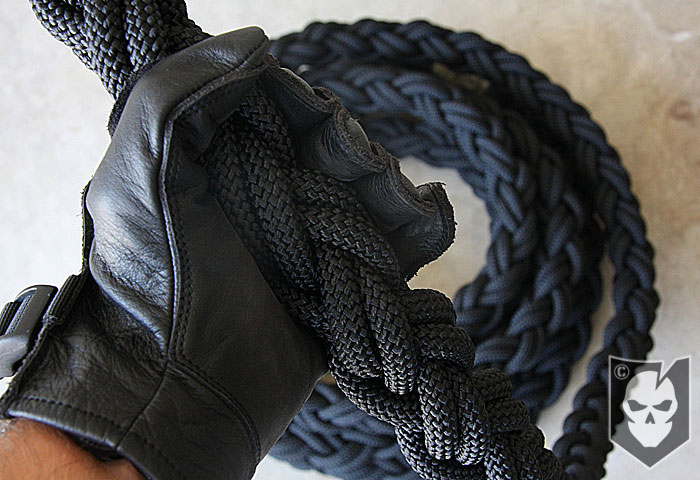 Braiding this Fast Rope is also a tremendous grip workout in itself. You’ll have to be tightening the braid while keeping it together and is not for the weak-fingered individual. If you are, find a friend with a good grip and be the one that untwists the lines and buys the beer. We’ve not only included a YouTube video on how to tie the 4-Strand Round Braid, but tried to accurately describe the process with photos as well. Remember that we’ll be back to show you how to complete your Fast Rope with and eye splice and terminating method in the following two weeks! 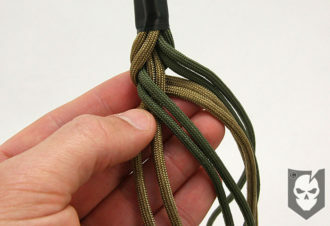 We’ll be demonstrating rope climbing techniques in a future article that will help you learn this skill-set. Building a Fast Rope for Climbing: Part 2, 4-Strand Eye Splice Building a Fast Rope for Climbing: Part 3, Whipping and Fusing A special thank you to CENTCOMSurvivor from our Forum for initiating the conversation that brought you this article. Creating a Fast Rope for Climbing is something we’ve wanted to do for a long time, but was pushed to the side until recently suggested.